Tampa is really stepping up the festivals in the area. 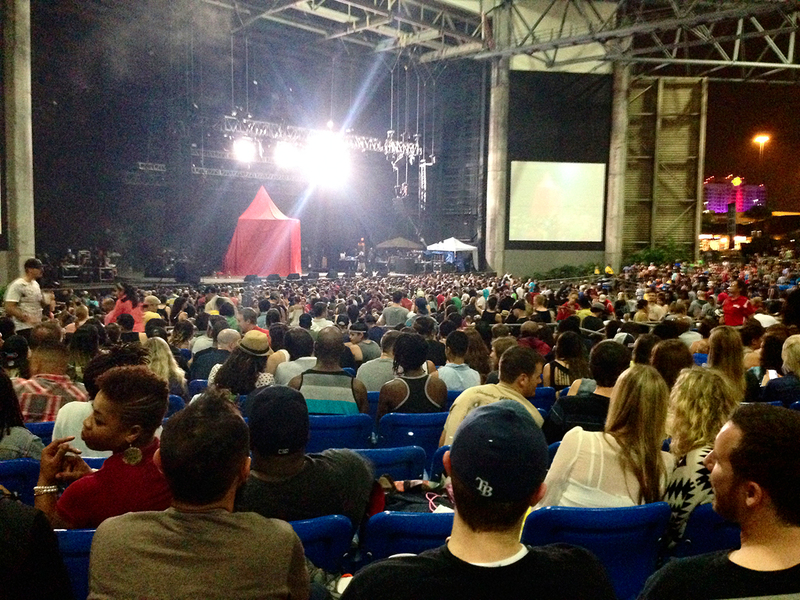 We recently attended one night of the weekend long festival Big Guava Festival at the Florida Credit Union amphitheater (or whatever it’s called now) at the fairgrounds. 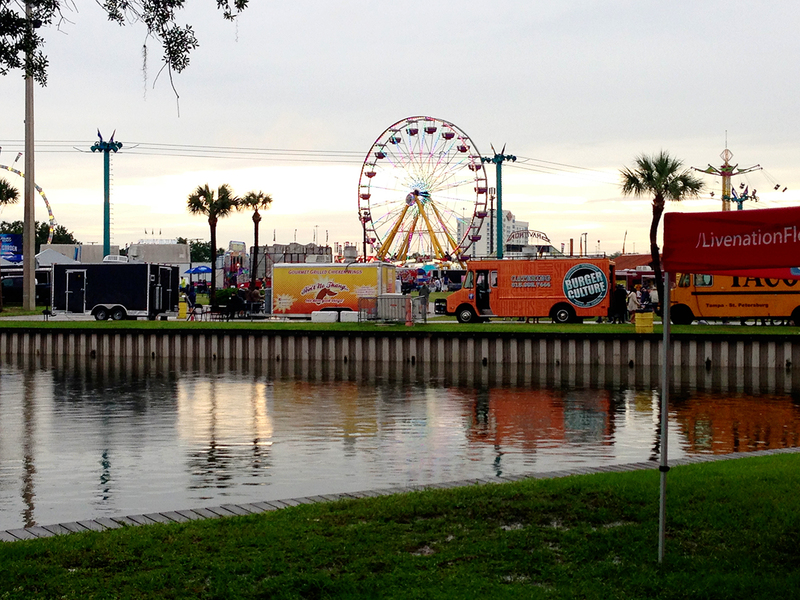 They had four stages, food trucks, carnival rides, and craft beer. It was a rainy day when we went, but it didn’t stop us from having a fabulous time. We learned via Twitter that the $10 VIP parking was worth the money, so we opted for that instead of the free parking. 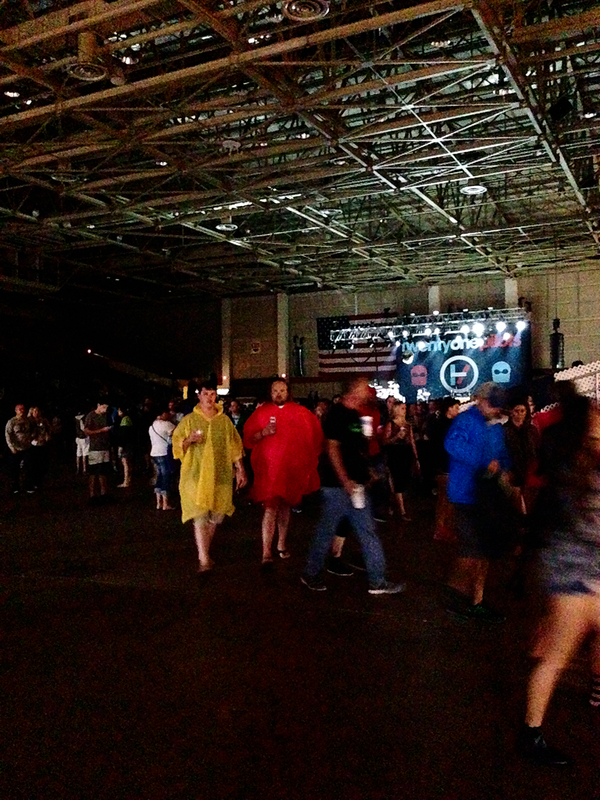 We ended up right near the amphitheater entrance, so we were right by the indoor stage (and bathrooms!). The indoor stage. The band was just finishing as we got there. We walked through the indoor area and headed outside. It had stopped raining for the time being and the fairgrounds looked really pretty. Our first order of business (like always) was to get a drink. 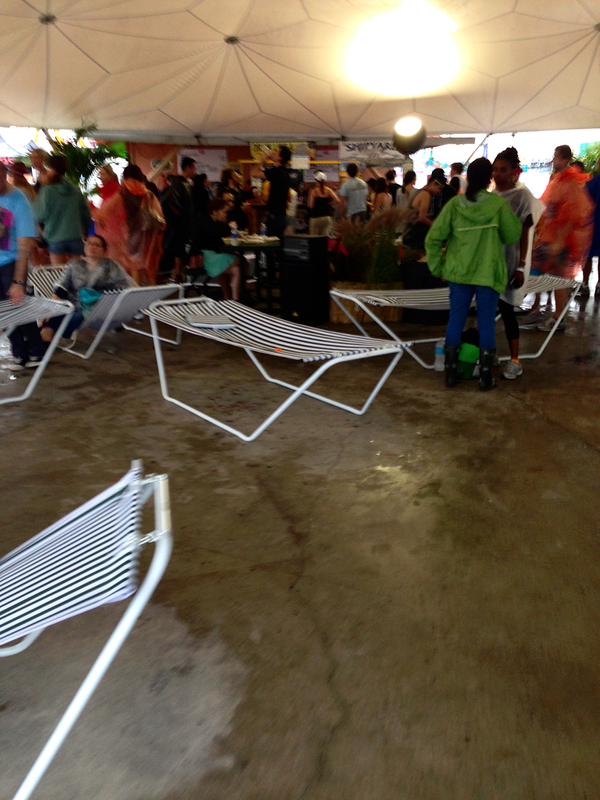 We headed over to the covered biergarten. I had the St Pete based 3 Daughter’s Brewing Beach Blonde Ale and it was so good. It was just the right amount of floral and hops and oh so refreshing. The perfect beer for walking around a festival. The Husband had the SweetWater Brewing 420 Pale Ale. A little too hoppy for my taste but the Husband loves it. After we made our beer decisions we headed to the food truck area to decide on dinner. There were soooooo many good trucks to choose from, but then I saw the Wicked Beef food truck. Beef on weck on homemade Kimmelweck rolls! Did I die and go to Buffalo heaven? Could this really be true? Of course I had to order it. 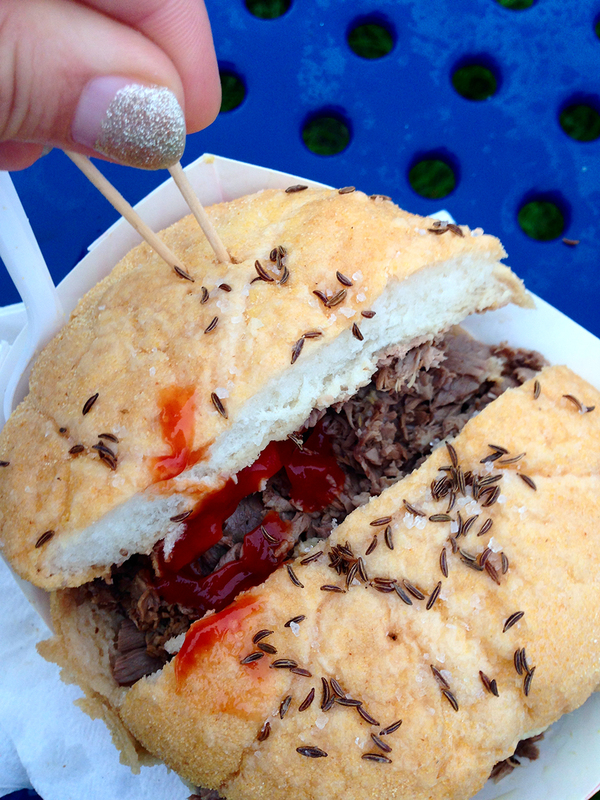 A Buffalo original, the beef of weck sandwich. With raw horseradish and ketchup, just the way it’s meant to be eaten. 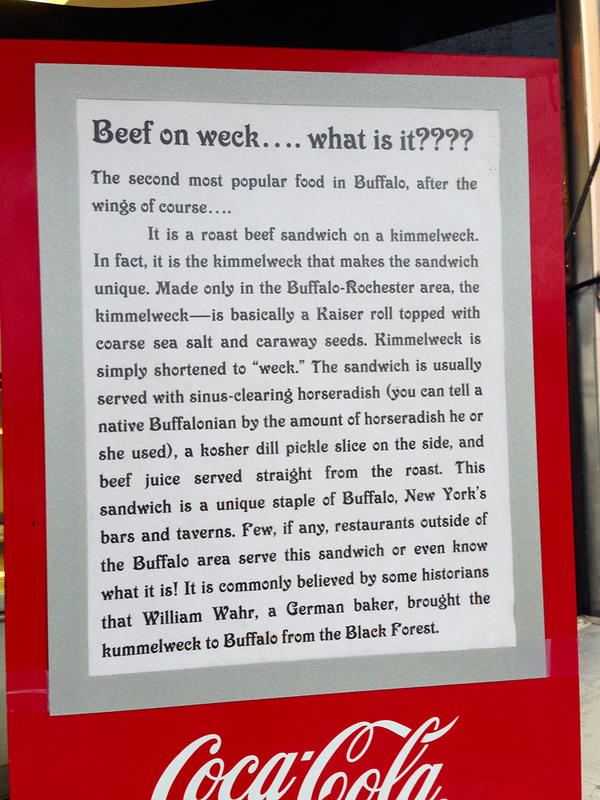 A little beef on weck history. And it was better than I could expect and the best beef on weck I have ever had outside of Buffalo. I wish my stomach was bigger; I would have ordered a dozen more. And they had my Canadian favorite, poutine. I can’t wait to find this truck again! The Husband doesn’t love beef on weck like I do (or at all, actually) so after I finished crying foodie tears of happiness we continued our quest for dinner, focusing on his meal. There were so many trucks that had food my picky Husband would actually eat but one seemed especially his style. Blake’s Best BBQ Dirty Dog was the winner. 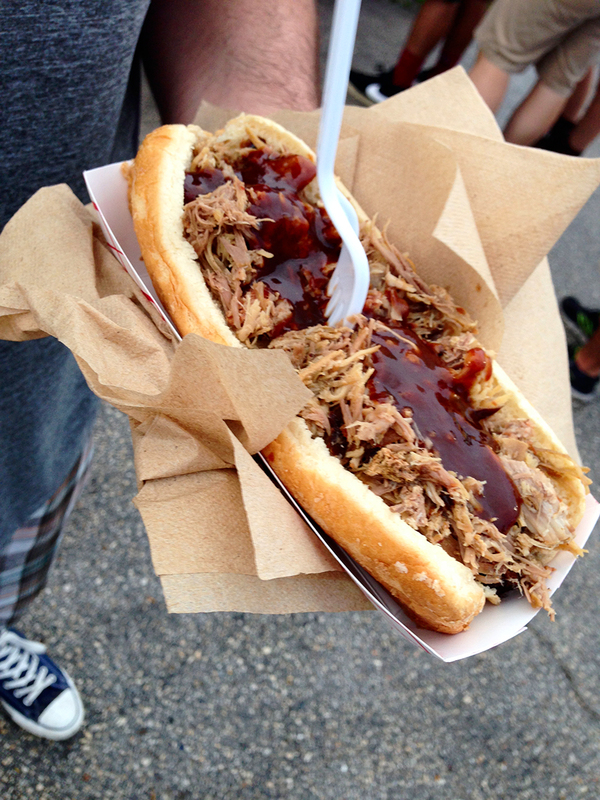 The BBQ sauce was so freaking good, I want a bottle for my fridge. 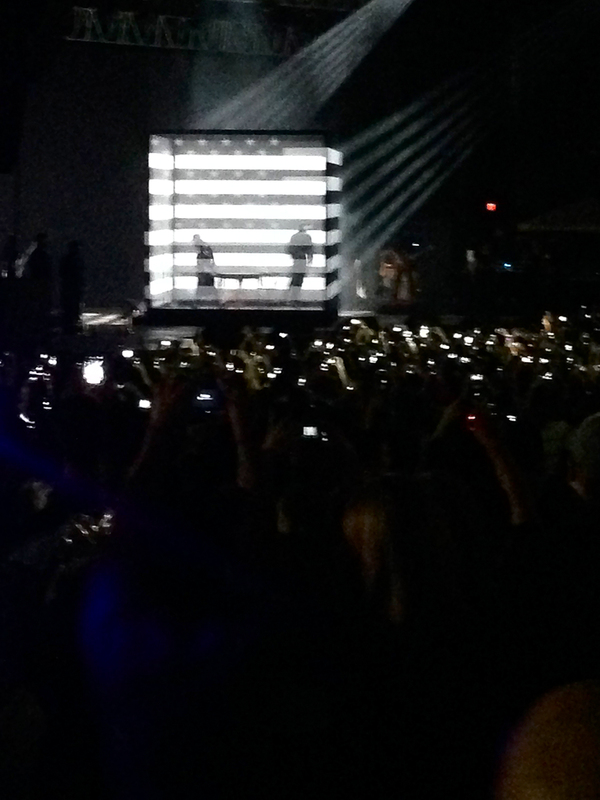 The Husband finished his dinner, we grabbed another beer, and headed towards the main stage for Outkast. 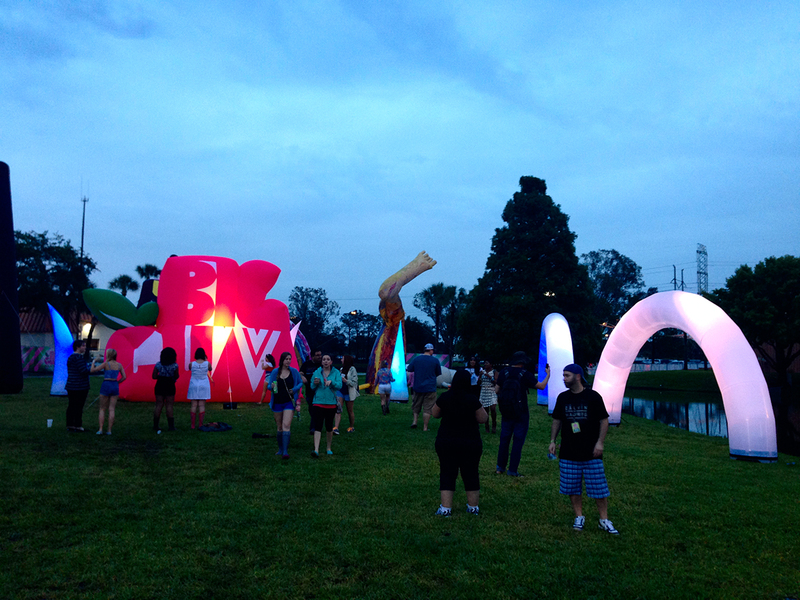 There were some pretty cool pieces of inflatable Guava Fest art on the way. I love inflatable neon in the rain. 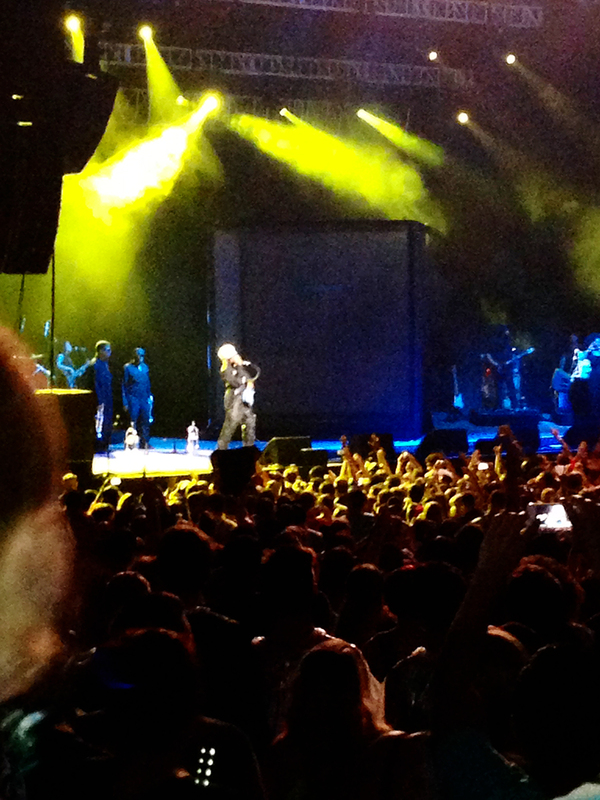 With the exception of a small area, the seats for Outkast were open. You could sit where ever you wanted. 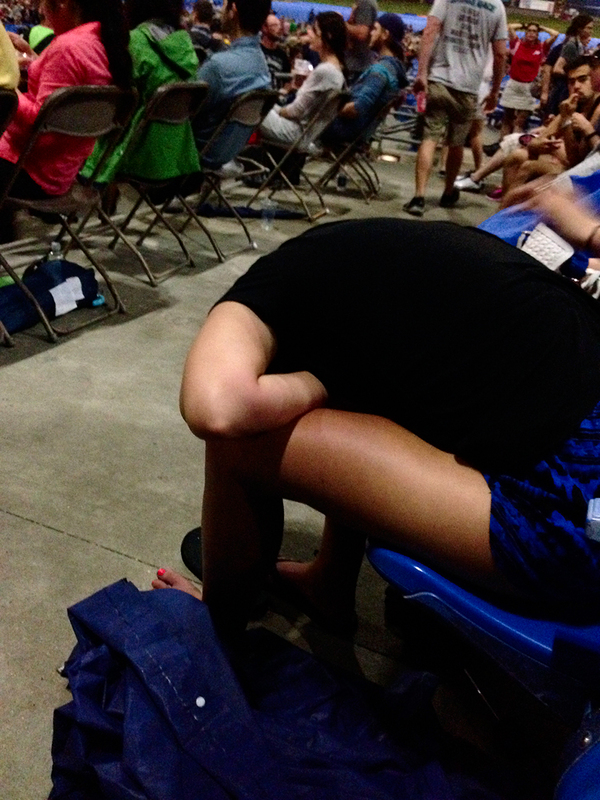 We chose seats in the second section, first row, because I like the amount of leg room there. I always feel so rude climbing across people to go get a drink or go to the bathroom. The crowd was noticeably younger than me. There were lots of amateur drinkers there, including the girl next to me. I was worried that she was going to puke on my shoes or worse, need CPR. Passed out by 9 PM. The kids who were still going strong were still obviously much younger. A woman in her 30’s would not wear such outfits, especially not in the rain. I’m not sure who is in charge of young adult trends (probably the Jenner girls) but ten years from now millions of 30 year old’s are going to burn all photos from their early 20’s. The first time I felt happy to be 30 was a direct result of this outfit and my relief that I never felt pressure to dress like that. Then the lights dimmed and the people watching was over. It was time for Outkast! Outkast! So good to see you together again. And they played pretty much every song that I know by them. I’m not the biggest fan, but I do like most of their popular songs. And they played them. The amount of energy in the amphitheater was unreal. You could feel how excited everyone there was. We danced, we sang, we drank, and then we left. I (clearly) knew we would be partaking in some alcoholic beverages, so I had arranged ahead of time for Zingo to pick us and our car up after the concert. We arrived at our car right about the same time our driver Tim showed up. Usually they have a small bike they put in your trunk but since the weather was so crappy they had arranged for someone to pick him up at our house. Tim drove us (and obviously our car) home and then was picked up by another driver. He was really nice and friendly and I’m positive we will be using Zingo A LOT. And I can tell you that I already can’t wait for next year!